I tried some of this cake last year and it was so nice I asked Ed’s aunt Caryl to send me the recipe. 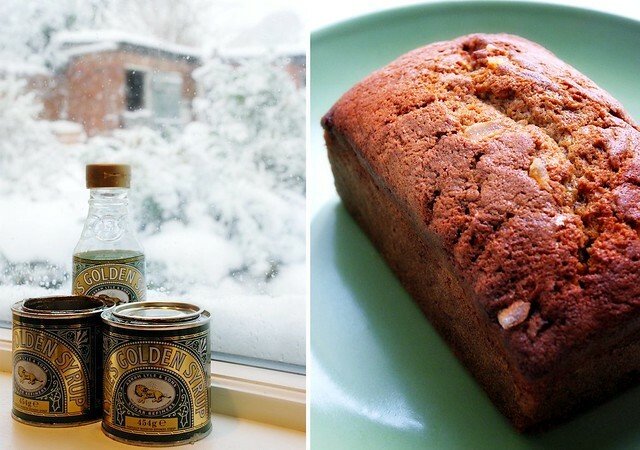 It’s a good one so as we are snowed in and I have just made some, I thought I would share it with you…The recipe, not the cake. The collection of golden syrup tins on the snowy window cill is because 1/2 way through making this I realised that even though I had a tin and a bottle, I still had not got enough, so thanks to our neighbours for donating 3oz to the cause. Pre-heat oven 180C/350F/Gas 4. Line a 20cm (8 inch) square tin, or 2 x 1lb loaf tins with baking parchment. Sift the flour with the bicarbonate of soda, ginger and cinnamon. Cream the butter and sugar until light and fluffy. Now beat in the golden syrup, then a heaped tablespoon of the flour mixture followed by the egg. Beat in the remaining flour followed by the milk to form a smooth batter. Stir in the stem ginger and scrape into the prepared tin. I sprinkled some chopped stem ginger on the top too. Bake for about 45 minutes until firm to the touch. Test by inserting a skewer deep into the centre. If it comes out clean then it is done. Let the gingerbread cool in the tin for 5-10 minutes, then turn out on to a wire rack and leave to cool. I didn’t let mine cool for long enough so here it is with a crumbly hot slice taken out of it. If impatience was a virtue I would have it in abundance. I reached out and ate that slice just after the shutter closed. The slice I am eating now looks much better, especially as it’s got butter on it. I like the thought of impatience as a virtue… especially where cake is concerned. 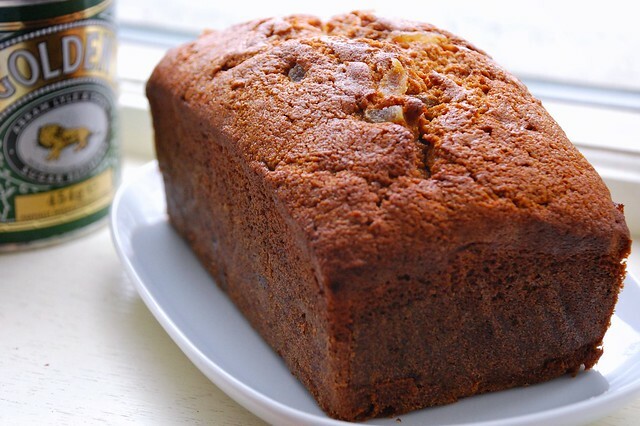 The goldenness of this loaf cake is just outstanding! 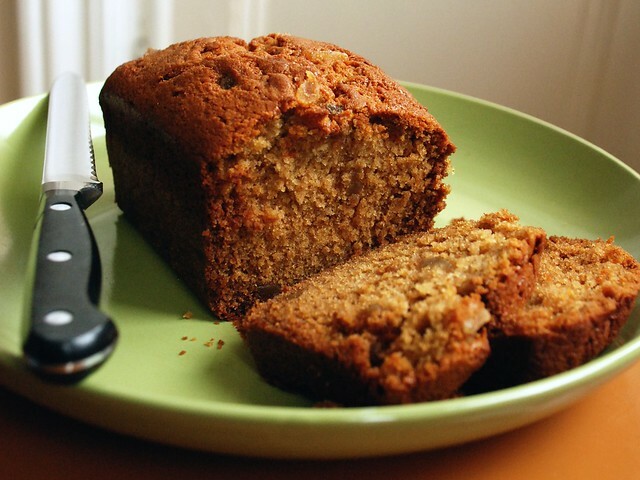 Perfect cake to have when the weather isn’t on your side, or just for anytime, really! That sounds perfect for a frosty sunday afternoon ! I just re-read this and laughed out loud…Unsalted butter! As if I would ever use such a thing. This may be in the recipe, but I only ever use salted butter, even in cakes. There is something about the slight saltiness of butter against the sweetness of syrup that is fantastic (for example pancakes with syrup & bacon with a lump of butter on top…evil, but oh so good) I know unsalted butter is all quite proper for baking, but I gave up buying it a while ago when I decided I need that sodium kick.